Join us for our 2019 Stroke Clinic Camp! REFINE YOUR TECHNIQUE, BUILD YOUR ENDURANCE & GET FASTER! ELIGIBILITY: Swimmers must be able to swim all 4 strokes & have swim team experience. 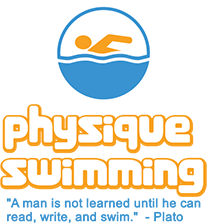 MINIMUM ENROLLMENT OF 10 SWIMMERS IS REQUIRED FOR PROGRAM TO RUN. What to Pack? Swimsuit, Goggles, Towel, Water Bottle & Light Snack. Participants will receive a Léman t-shirt & swim cap.